Over the course of the last 19 months, I’ve made a conscious effort to give you new and exciting music to groove to each week. We all have the genres or eras of music that are in our wheelhouse—one we default to when we need to put something on and drift away. My most impressionable era of music was the mid 90s, so I’m almost proud that the first duplicate band featured here is one that fits my go-to genre, and just so happens to be the first band I ever profiled on CTT. In 1993 Nirvana was touring to promote their latest release, In Utero. MTV was airing a program called MTV Unplugged at the time, which was taking rock acts and asking them to perform using only acoustic based instruments. The network wanted them to do the show for years and Nirvana finally accepted to tape a performance in November in New York City. The band had seen various other bands perform on the show but decided they wanted to go a very different direction. Instead of playing all their hits, they wanted to do lesser known tracks combined with covers of their favorite songs—songs that got them interested in the music business. Since their biggest influences were bands that perhaps weren’t going to “sell” according to MTV, there was some major concern about the lack of high-end guests and chart-topping hits. Combine this with a Kurt Cobain who was suffering from major drug withdrawal during taping, it seemed the show was doomed. Nirvana would film the performance in a single take, which had never happened before on the show. The set would end with a cover of an old blues song by musician Lead Belly. “Where Did You Sleep Last Night” has been regarded by many as one of the greatest single live performances in music history. Cobain sung with such passion and guts, everyone in attendance knew instantly they had seen something special. Fans were clamoring for an encore, but when the producers asked Nirvana to come back out, Cobain refused, stating he could never top the performance he’d just given. 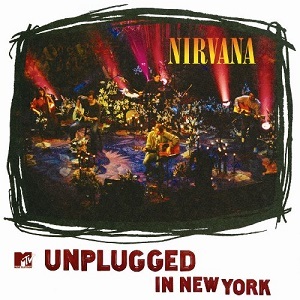 Recorded on November 18, 1993 Unplugged In New York was released nearly one year later, November 1, 1994. As Kurt Cobain passed away in April of that year, this was the first posthumous release for the band. In spite of the show airing well before the release, the album was an immediate success. It debuted at #1 on the Billboard charts and has since sold nearly 10 million copies worldwide. It would also win the Grammy for Best Alt Music Album in 1996. This is honestly in my top 10—maybe even top five favorite albums of all time. This was the album that connected me with Nirvana and sent me back to their prior records. It’s so emotional and raw, and understanding what Cobain was dealing with in the moment makes it all the more special. Five bucks is such a small price for something so revered in music history. I agree – and would add it’s an essential to anyone who enjoys alt rock music. Hard to think anyone hasn’t heard it, but anything is possible. Truly, the whole album is amazing. Your top tracks are equally awesome. I almost didn’t do a top 3 this week, just was going to say “the whole thing” – I feel that strongly about it.